Does Eating More Really Help You Lose Weight? -First, eating more speeds up your metabolism. Eating less sends a message to you’re brain that you are in starvation mode, which causes the body to store fat as a form of survival. Eating every three hours provides your body with what it needs to speed up your metabolism. –It enables to body to burn fat faster and more naturally. Maintaining a healthy diet and exercising regularly builds lean muscle and muscles eat fat as a source of nutrients. In other words, muscles burn fat in order to maintain itself. Coupled with resistance training, eating proteins builds muscle mass and the more muscle mass you have, the more calories you burn. –It gives you the energy needed to exercise. Eating gives you the fuel you need to maximize your efforts in the gym in order to gain lean muscle mass. Depriving yourself of food can cause you to perform slower, more sluggishly, and decrease your stamina. 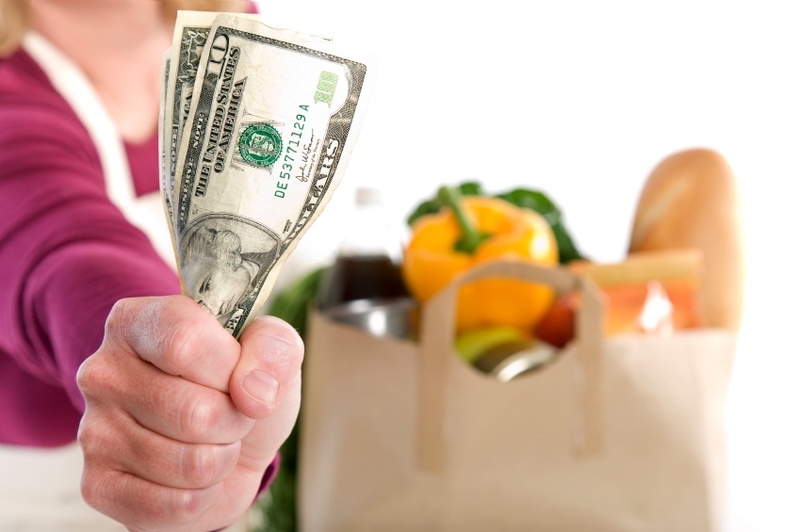 –Certain foods eliminate toxins, as well as burn fat. Vegetables, fruits, and lean proteins are packed with fiber, which is very beneficial to the body because it helps eliminate toxins in the body. So not only will you see the results you have searching for, your body will feel healthier too. Eating 5-6 smaller meals a day is much more beneficial than eating 1-3 normal sized meals a day. You do not have to depress yourself and eat less in order get to your desired weight. It’s what you eat, not necessarily how much you eat. So instead of just cutting back on portion sizes and decreasing your caloric intake, choose healthier options and eat away. Categories: Body, Diet, Excercise, Nutrition | Tags: eating, food, health | Permalink. Canned Beans. Canned beans pack an impressive amount of fiber and protein and can be a quick addition to many meals. Oats and Flaxseed. Prepare to have a heart-healthy breakfast by combining old-fashioned oats and ground flaxseed, both found packaged in either cartons or bags. One cup of cooked oatmeal with 2 tablespoons of ground flaxseed will give you 8 grams of much needed fiber, as well as a dose of omega-3 fatty acids. Frozen Vegetables.These can be nearly as nutritious as fresh and are conveniently prewashed and chopped. Steam or microwave your veggies rather than boiling them to make sure you’re not losing water-soluble vitamins. Frozen Berries. Many frozen berries do not have added sugar, but some do. Double check that the ingredients list contains berries to make sure you’re not getting extra calories from refined sugars. Granola Bars. This one can be tricky, as not every granola bar is good for you. Shop carefully and read labels to pick out the healthiest option. Flip the products over and check out the ingredients. Soups. Soup that comes in a can or carton can be a healthy choice if you shop carefully. Many are packed with plenty of fat and added sodium, but some brands are lighter in both. Cereal. Breakfast cereal can be a toss-up. Either you’re eating an overdose of sugar or you’re getting a good amount of fiber and vitamins. 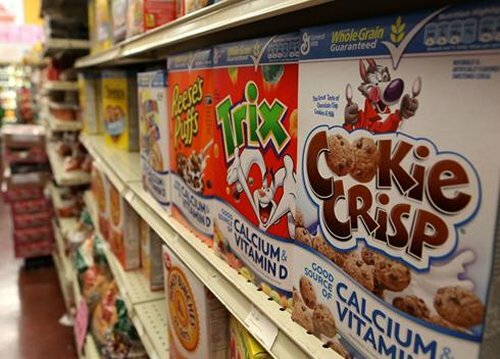 Pick the right cereal, and you’ll be supporting your heart and intestinal health with each bite. Look for at least 5 grams of fiber per serving and keep in mind the amount of added sugar. Brown Rice. For a boxed fare that is both versatile and nutrient packed, pick up brown rice on your next grocery trip. This fiber-rich grain is a great side for nearly any meat, bean, and vegetable. Tuna Fish Packed in Water. When it comes to getting a bang for your buck out of canned food, this is almost as good as it gets. This convenient food is high in omega-3 fatty acids and protein, and also gives you a good amount of vitamins D and B-12, too. Yogurt. This tangy concoction found in the dairy aisle can be a great snack or breakfast staple. Many brands are advertising “natural” products that do not have artificial colors or sweeteners, but what you choose should depend on your own preferences and nutritional goals. Categories: Diet, Nutrition | Tags: convenient, food, health | Permalink. 3. Lean Beef: Lean beef is rich in vitamin B12, iron and zinc. These vitamins and minerals have been shown to maintain a healthy neural tissue. 4. Blueberries and strawberries: Studies show that people who eat berries improve their memory and their motor skills. In addition, their antioxidant properties can protect your brain from the oxidative process. 5. Dark chocolate: Dark chocolate offers incredible concentration powers. It is a very powerful antioxidant containing natural stimulants that increase the production of feel-good endorphins. Trick: you need to find dark chocolate with less than 10 grams of sugar per serving for optimal benefits. 6. Salmon: Salmon contains omega-3 fatty acids, which studies have shown to be essential for brain function. 7. Dried oregano: Certain spices have powerful antioxidant properties. In several studies, this powerful spice has shown to have 40 times more antioxidant properties than apples, 30 times more than potatoes, 12 times more than oranges, and 4 times more than that of blueberries or strawberries. 8. Walnuts: Walnuts are rich in protein and contain omega-3 fatty acids, vitamins E and B6 which all promote healthy neural tissue. 9. 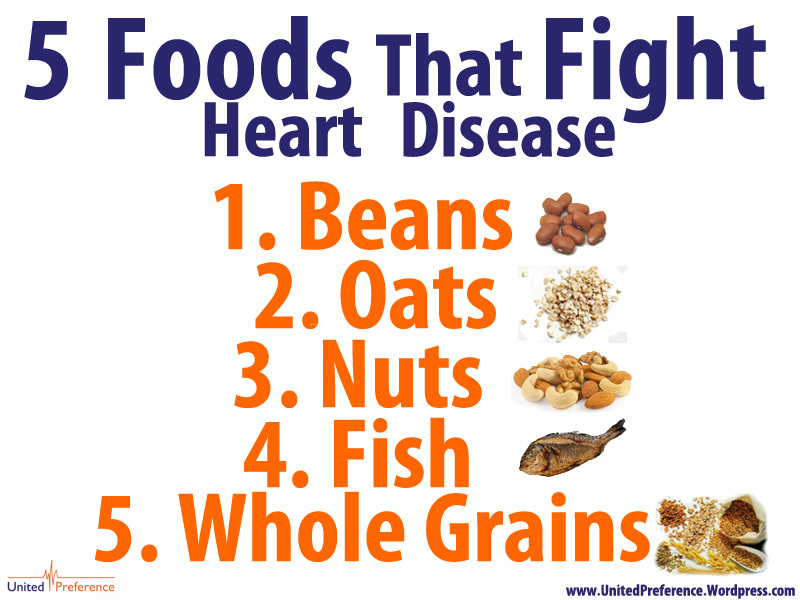 Whole grains: Whole grains deliver fiber and vitamin E that help promote cardiovascular health, which helps improve the circulation to the brain. 10. Yogurt: Yogurt and other dairy foods are filled with protein and vitamin B that are essential to improve the communication between nerve cells. Categories: Nutrition | Tags: brain, food, healthy | Permalink. A study conducted by researchers from the University of South Carolina, Columbia, found that those who are watching their weight are more likely to be deceived by food labeling. The most common labels that may deceive the average consumer are: gluten-free, trans fat-free, no high-fructose corn syrup, whole-grain, low-fat and organic. Gluten-free: Gluten is a protein found in wheat, rye and barley. For many with celiac disease, a condition that damages the lining of the small intestine making it challenging, or impossible, to absorb parts of food needed to stay healthy. Trans Fat-Free: Trans fat is created when oils are treated with hydrogen gas to increase shelf life. According to the Centers for Disease Control and Prevention, trans fat increases low-density lipoprotein, commonly known as bad cholesterol. This can essentially lead to coronary heart disease, the leading cause of death in America. No High-Fructose Corn Syrup: High-fructose corn syrup is a common sweetener in sodas and fruit-flavored drinks. It has been linked to increasing rates of obesity. When a product is labeled as no high-fructose corn syrup other sugary ingredients are used like honey, molasses, sucrose, fructose, and fruit juice concentrate. If any product has these sweeteners as one of the first four ingredients you should avoid purchasing them. Whole-Grain: Whole-grains are a great source of fiber, selenium, potassium and magnesium. The 2010 Dietary Guidelines for Americans recommends that at least half of the grains you consume are whole grains. Low-Fat: According to a health survey, more than 1,000 individuals consume foods labeled as “low-fat,” “reduced” or “light” because they believe they have fewer calories and are healthier. Labeling regulations define “low-fat” as containing less than three percent of fat, whereas “reduced fat” and “light” must contain 30 percent less than the original product. Most consumers are unaware of what the terms “reduced fat” and “light” means. Out of 1,005 individuals who were surveyed, only 16 percent of shoppers could identify that these products must have 30 percent less fat compared to the standard. When purchasing a product that states low-fat, be sure it contains less fat compared to the original product. Organic: Organic products in most cases are better for you, however when purchasing grain products, like chips, noodles, cookies, and crackers, avoid organic products. When you do purchase organic products, look for the USDA Organic seal to be sure all ingredients are organic. Categories: Diet, Nutrition | Tags: food, health, labels | Permalink. 1) Corn is packed with lutein and zeaxanthin, which help form a pigment that fliters out the sun’s damaging rays and lower your risk of developing age-related macular degeneration—the leading cause of blindness in people over the age of 60. 2) Iced Coffee – drinking a cup a day may lower your risk of developing skin cancer. It is said that the caffeine in coffee reduces the risk of developing non-melanoma skin cancer. 3) Tart Cherries – the anthocyanins in tart cherries activate a molecule that helps rev up fat burning and decrease fat storage, but they also help you get a better night’s sleep. 4) Tomatoes – give you extra protection against the sun because they contain lycopene, the cartenoid that makes them red. It provides extra protection from getting sunburn. 5) Watermelon – allows you to increase your water intake by eating it. A watermelon is 92% water. 6) Raspberries- one cup has 8 grams of fiber. Fiber prevents weight gain and can even promote weight loss. 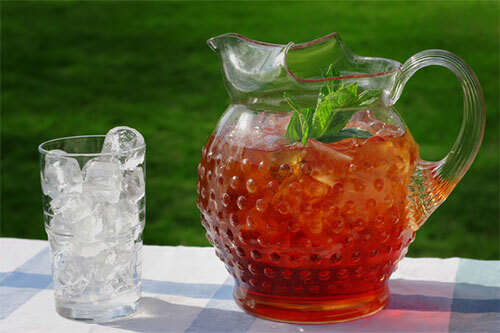 7) Iced Tea – drinking it regularly may lower your risk of Alzheimer’s and diabetes. It also gives you healthier teeth, gums, and stronger bones because it is packed with a class of antioxidants called flavanoids. 8) Blueberries – the antioxidants in them prevent muscle fatigue by absorbing free radicals produces by muscles during exercise. Categories: Nutrition | Tags: food, summer | Permalink.